FAQ: What are the requirements for infant baptism? For a child to be baptized in the Catholic Church, there must be a basis for hope that the child will be raised in the Catholic faith. In practice, this generally means that at least one parent is Catholic. Like many dioceses in the United States, our Diocese requires parents to participate in Baptism preparation before the baptism of their children. 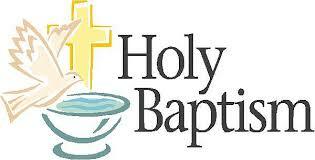 We offer Baptism classes here at Holy Family. Each child brought forward for baptism must also have at least one godparent who is a confirmed, practicing Catholic age 16 or older. 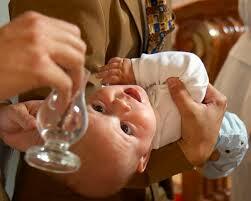 There is no age limit, but infants are generally baptized between three and six months old. Children who are 7 years old or older must participte in the RCIC classes to prepare them for baptism. What about single, unmarried parents & parents not married in the church? Every parent is welecome to bring their child forward for baptism. However, you must have the intention of teaching them the Catholic Faith. Parents should choose godparents who will take an active role in the faith formation of their child and who will be a good role model of living the Catholic faith. When a parent chooses you as a Baptismal Sponsor (Godparent) that means you are thought of as a very special Catholic. Being called to be a Godparent is not merely a choice because of family ties or a reward of friendship. The call to be a sponsor bears the responsibility of giving spiritual witness to your Godchild of how to live out the Catholic faith in everyday life. By being faithful to God’s law, being active in the life of your parish, participating in Mass weekly, and living Gospel values, you offer tremendous personal support to the parents who commit themselves in Baptism to faithfully passing on the Catholic faith to their child. There may be ONE or TWO godparents. When there are TWO godparents, one is male (godfather) and the other female (godmother). Must be mature enough to undertake this respectability. Must know the fundamental truths of the faith, be a practicing Catholic who attends Sunday Mass and receives the sacraments regularly, and sees to the religious instruction of his/her family. Must not be the mother or father of the one to be baptized or confirmed. The sponsor, with the parents, presents the child for the sacrament and helps him/her live a life befitting a baptized Catholic Christian. Therefore, it is important that you prayerfully consider the serious responsibility, which you take on as a Godparent. If you are unable to live up to these Catholic ideals, you may wish to decline this responsibility. After the baptism, we will present you with a baptism certificate with the parents' names. 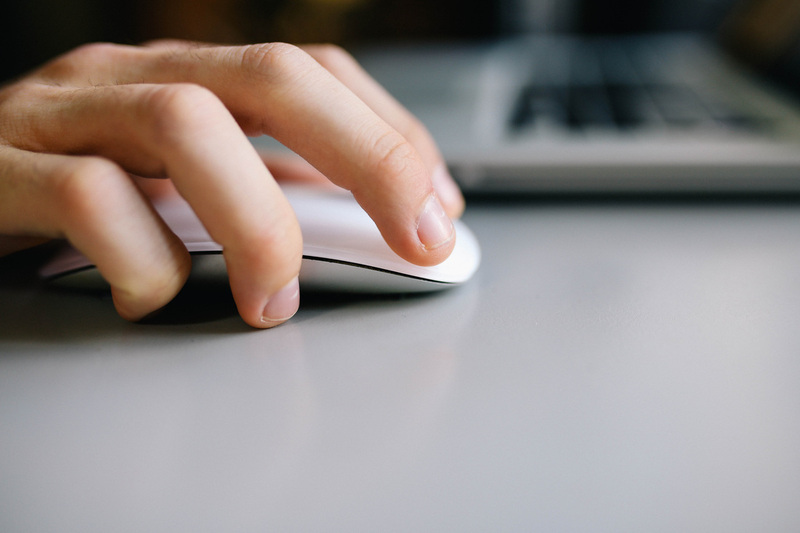 If your child ever needs a copy of their baptism certificate later, perhaps for school registration or for marriage, you can contact the parish office. However, it is a very good idea to keep the certificate with your important papers and records so that you always have it when needed. No fee is required, but if you're able to we suggest at $60 registration donation. These generous donations help fund the baptism preparation program and supplies involved. If you would like to make an offering you may bring it to the baptism or mail or drop it off in the parish office. What happens during baptism classes? Our baptism classes are designed to help you reflect spiritually on being new parents and recognize that baptism is the beginning of a lifelong commitment. We will discuss the theology of the sacrament of baptism, as well as practical aspects of the ceremony itself. It is a great way to meet other parents in the parish and to answer any questions you may have. A white garment is an ancient sign of the newly baptized Christian's new life in Christ. Your child's baptismal garment need not be a traditional baptismal or christening gown; it can be any clothing that is mainly white. Department stores such as Macy's and Kohl's sell traditional baptismal gowns.